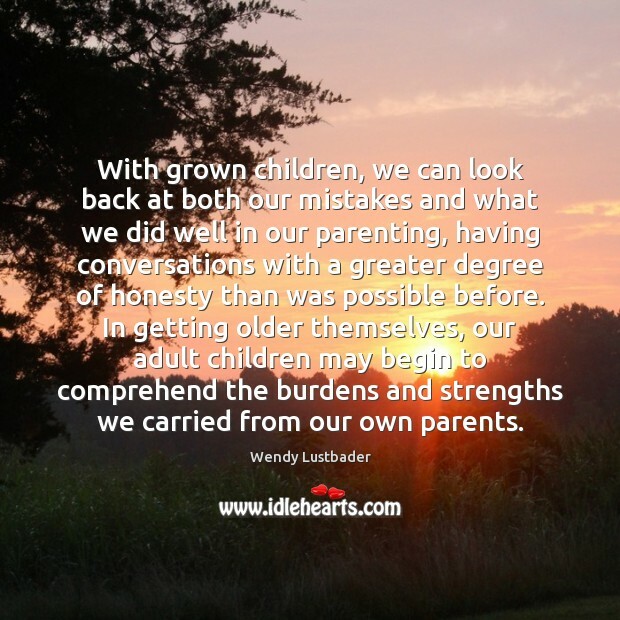 Quotations about Adult Children. Quotes to stimulate mind and drive action! Use the words and quote images to feed your brain inspiring things daily! 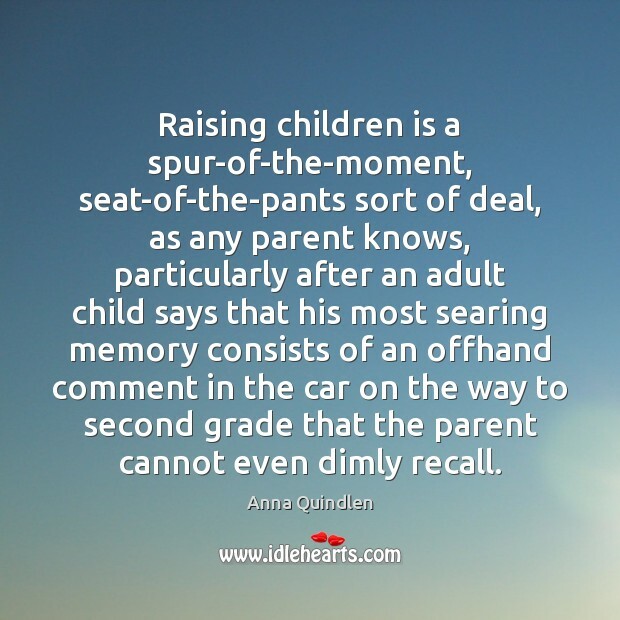 Raising children is a spur-of-the-moment, seat-of-the-pants sort of deal, as any parent knows, particularly after an adult child says that his most searing memory consists of an offhand comment in the car on the way to second grade that the parent cannot even dimly recall. 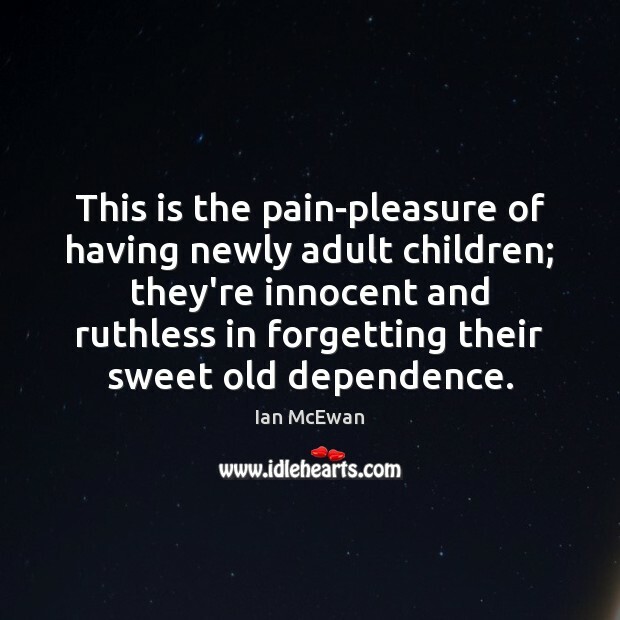 This is the pain-pleasure of having newly adult children; they're innocent and ruthless in forgetting their sweet old dependence. I've always been quite mature because of the way my parents brought me up. They were very good at talking to me like a person rather than a baby, and I was around so many actors and directors from such a young age because my dad is an actor. 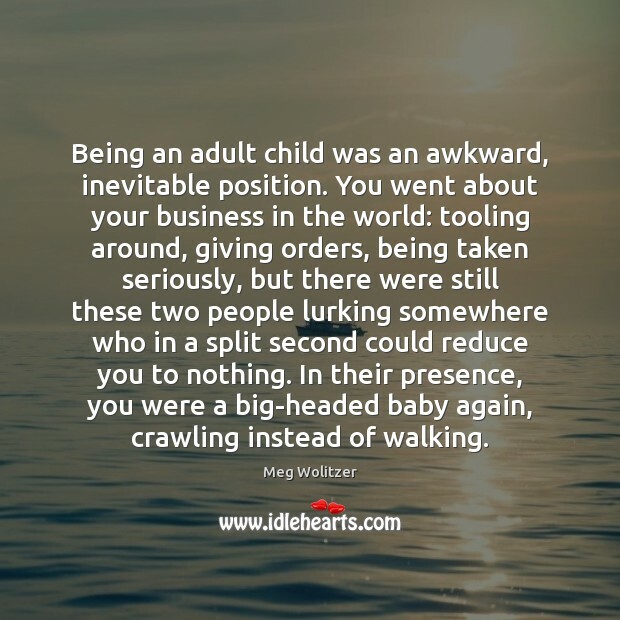 I was more comfortable with adults rather than actually being an adult child. 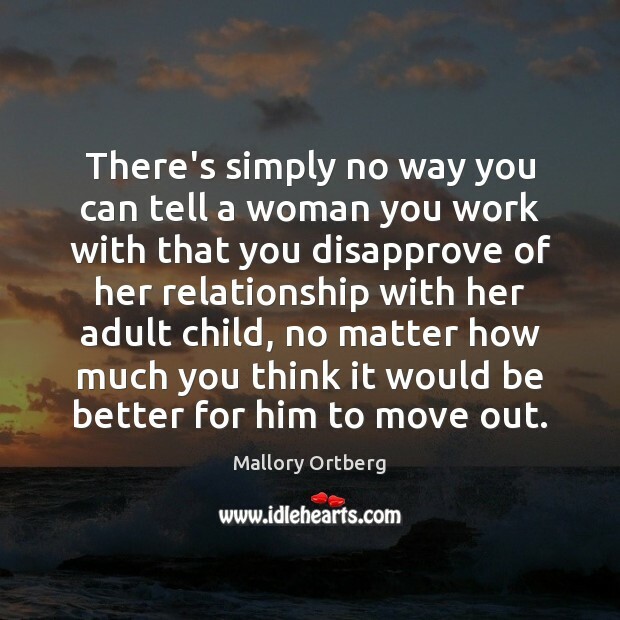 There's simply no way you can tell a woman you work with that you disapprove of her relationship with her adult child, no matter how much you think it would be better for him to move out. 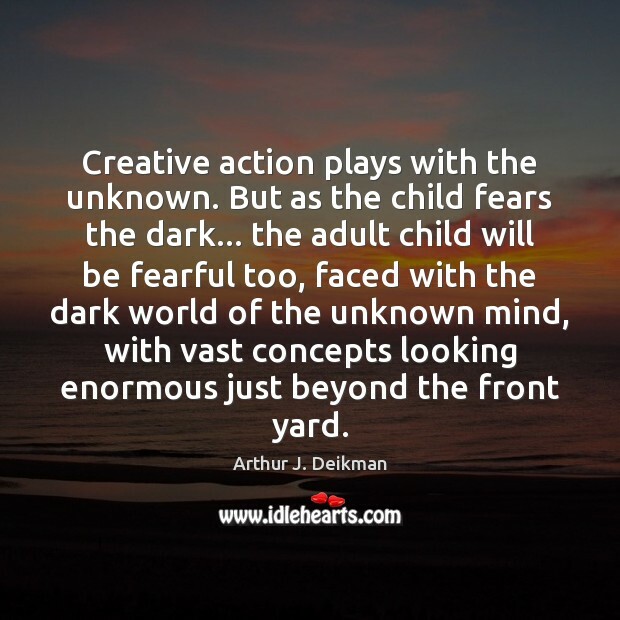 Creative action plays with the unknown. 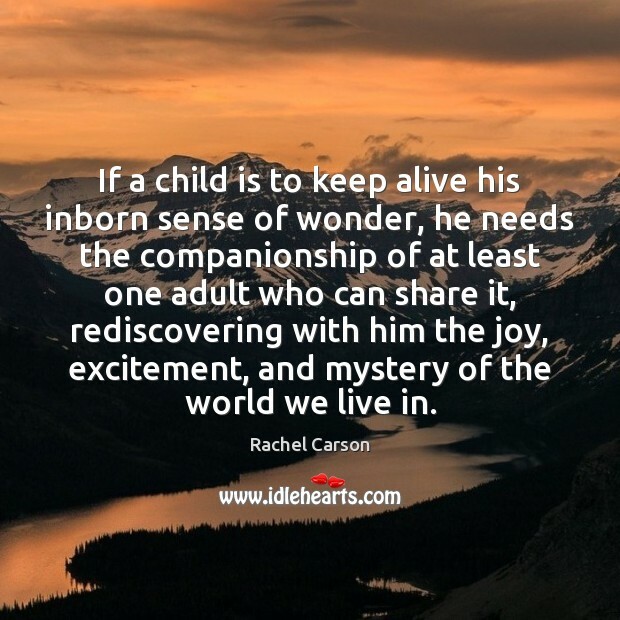 But as the child fears the dark... the adult child will be fearful too, faced with the dark world of the unknown mind, with vast concepts looking enormous just beyond the front yard. Being an adult child was an awkward, inevitable position. You went about your business in the world: tooling around, giving orders, being taken seriously, but there were still these two people lurking somewhere who in a split second could reduce you to nothing. In their presence, you were a big-headed baby again, crawling instead of walking. 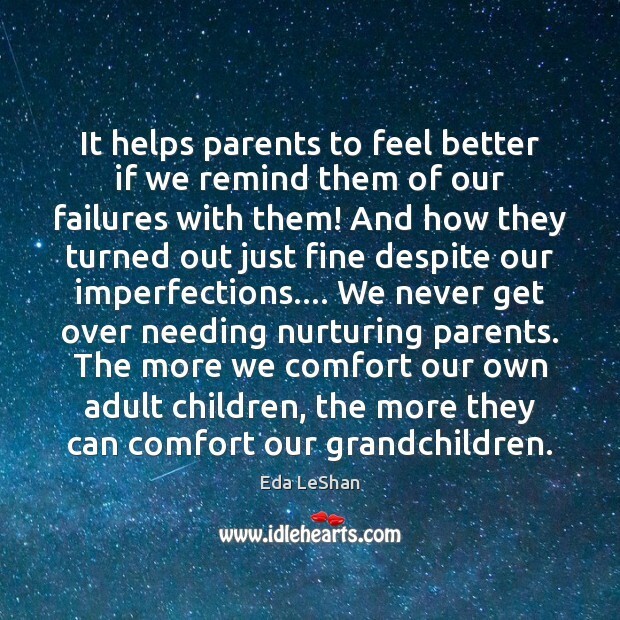 I have three adult children, and I have four grandchildren. I want to stop the deficits. 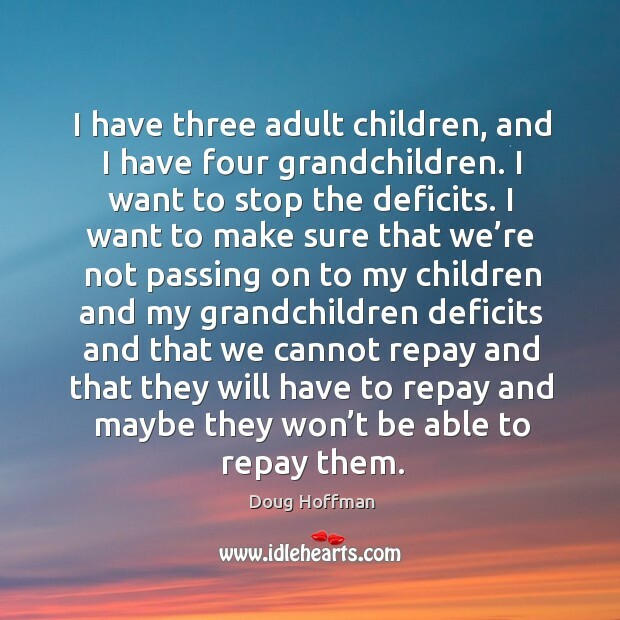 I want to make sure that we’re not passing on to my children and my grandchildren deficits and that we cannot repay and that they will have to repay and maybe they won’t be able to repay them.